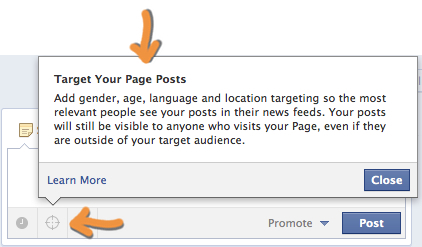 Facebook Page Post Targeting: Is It Useful? When will someone use this functionality? What value does it add for the user? How value does it add for the Page admin? If you don’t have it yet, you will soon. Facebook rolls things out gradually. Something important to understand here: When you target men from Canada, only men from Canada will see your post in their News Feeds; however, anyone could see that same post if they visit your Page. That presents a lot of questions for me. I’ll address those shortly. Contests: Let’s say that only people in the US are eligible for your great contest. There’s no reason to blast everyone with it and disappoint those outside of the US. Anti-SPAM: If you have found that the vast majority of SPAM comes from particular countries, you can get around these people by targeting outside of those areas. 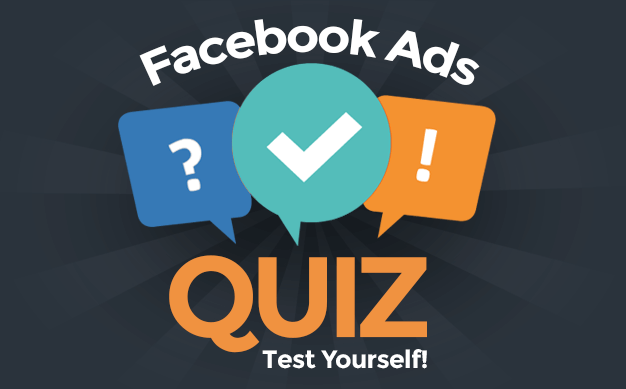 Split Testing: You can promote the same piece of content, but in different ways to various audiences. In theory, this could make content more relevant for users. If Page admins can cater their content to specific demographics, you may be more likely to engage with it. Likewise, users may appreciate not being bothered with content that doesn’t apply to them. What Value Does it Add for Admins? In the use cases above, this feature may help prevent confusion around contests; it can help weed out spam; and it can help you cater your messaging to specific demographics. That all adds up to value. Another consideration is EdgeRank. If your content is now more relevant to your target audience, the percentage of engagement should go up. That, theoretically, would lead to a higher EdgeRank, resulting in reaching the people you want to reach more often. 1) It’s only partial targeting. Sure, you target people in their News Feeds. But anyone can see that content if they come to your Page. So if you cater your content based on demographics, you’ll probably need to spread out when you post it. Otherwise, you’ll have the same piece of content published over and over on your Timeline. The alternative is that you could hide items from your Timeline, but now this is becoming more and more work. 2) Are you cutting out the wrong people? Profile demographics aren’t perfect. If you think your post applies most to men aged 18-35 from the US, what about the people who lie about this information? Or don’t provide it? Or how about those who fall just outside of that demographic who would have loved to interact with your content? Another example is around SPAM. Maybe you’ve isolated India as a country that provides most of your SPAM. But what about the legitimate accounts from that country? You don’t want to cut them out. 3) Does the value outweigh the effort? This is a lot of work. Every time you write a post, you need to make a half dozen clicks or so. And if you are split testing, you are duplicating your efforts and possibly hiding posts from your Timeline. Is all of this going to result in some significant benefit? At this moment, I’m slow to embrace this feature. Maybe it will be awesome. Maybe Facebook will improve upon it. I actually wrote a post a while back about the need for Lists for Pages. This is actually a step in that direction, but definitely no where close to the ease of use I was wanting. What do you think? Is this a feature you will be using? How will you apply it?